At Stupp Bridge Company, Engineering and Information Services work hand in hand to bring the necessary and critical information to the shop floor in order to produce a quality product on schedule. Our experienced staff of bridge detailers produces shop and field erection drawings using the latest available technology in CAD software. 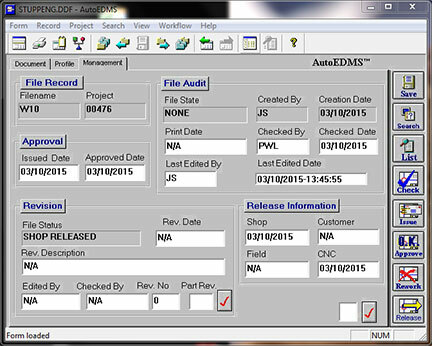 Our rigid, rule-based document management system handles revision control, distribution of all shop drawings, and CNC files. Our Engineering Document System ensures that the latest version of any file is available throughout the Company using high speed communication links. On the shop floor, real-time feedback, through the use of radio frequency bar code scanners, provides immediate insight as to the production status of every piece in the project. Sophisticated software programs, working in conjunction with CNC cutting tools, provide accurate piece tracking with complete traceability to the source material. Our systems make all of this information instantaneously available to our production supervisors and project managers so they can monitor the critical steps of production. Check out our Services Page to see how our advanced engineering and information services can help you. 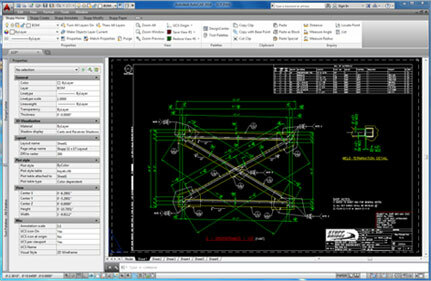 Stupp Bridge Company utilizes CAD technology to produce details that are concise, CNC ready, and compliant with all individual state specifications. We closely follow AWS, AASHTO, and all other relevant codes, making the approval process a mere formality. Stupp Bridge Company also uses a highly descriptive marking system that closely follows those established by the National Steel Bridge Alliance (NSBA). 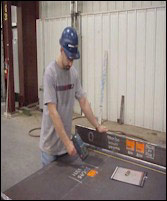 The Production Control Department at Stupp Bridge Company is an integral component in the shop floor management. When Engineering Services forwards shop drawings, Production Control begins the process of material flow and work order creation. This process involves checking routings, establishing inventory assignments, creating pick lists, and producing prioritized work orders to deliver a quality product on time. The extensive use of sophisticated CNC equipment in our shop requires that Production Control provide supporting CNC programs that cover nesting, cutting, and drilling operations. 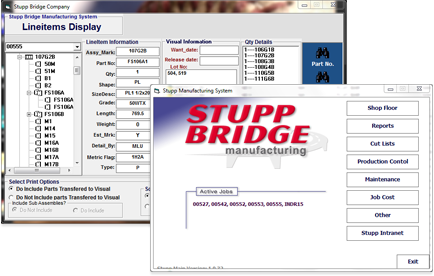 In order to track and provide detailed drawing information to our customer and our manufacturing facility in Bowling Green, Kentucky, Stupp Bridge Company utilizes a workflow and Engineering Document Management System (EDMS). This technology allows the Engineering Services Department to maintain tractability with detailed information regarding what modifications we made to the drawings. This accumulative data is then accessible at any given time throughout the life of the project. Stupp Bridge Company uses bar coding to track all of our raw and in-process material. When we receive raw material from the producer, we apply a bar-coded sticker and, through the use of real-time radio frequency scanners, we scan and track every piece throughout its life. Doing so allows us to maintain the complete genealogy for every piece of steel. When we cut the material into parts, we attach a bar-coded manufacturing label and scan it during every phase of construction. This process allows for instantaneous recording of the source and status of every piece. This instant access to job information provides Stupp Bridge Company with unequaled flexibility to manage projects and avoid costly delays. VISIT OUR SERVICES PAGE TO LEARN MORE ABOUT OUR BOWLING GREEN FACILITY!